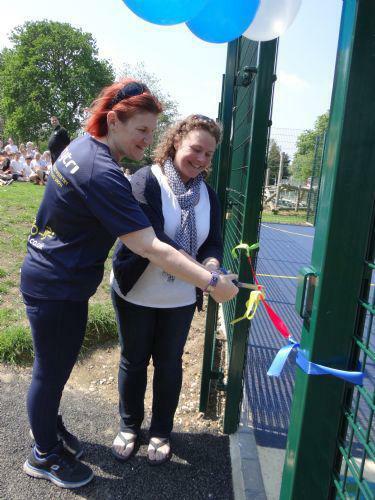 On Friday 13th May, Sun Hill Junior School’s Year 6 pupils officially, and very excitedly, opened the school’s latest outdoor sports facility. 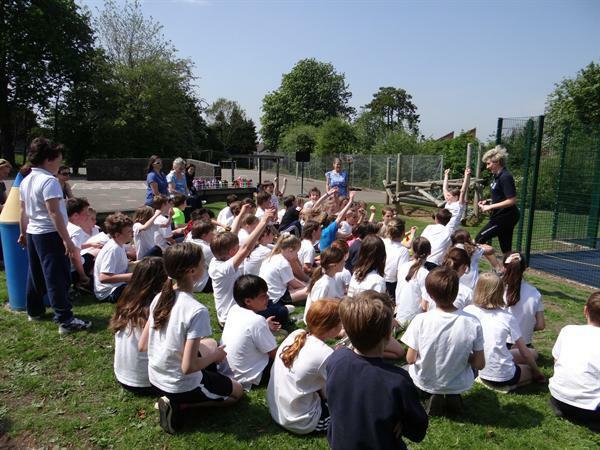 The launch of the all-weather Multi Use Games Area (MUGA) coincided with the end of SATs and was a fantastic way for Year 6 pupils to be rewarded for all their hard work. 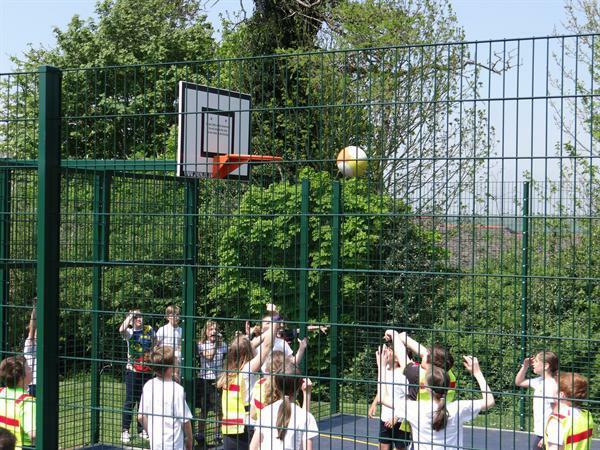 The two Year 6 classes were rivals in an inter-class Basketball match on the new Multi Use Games Area (MUGA). 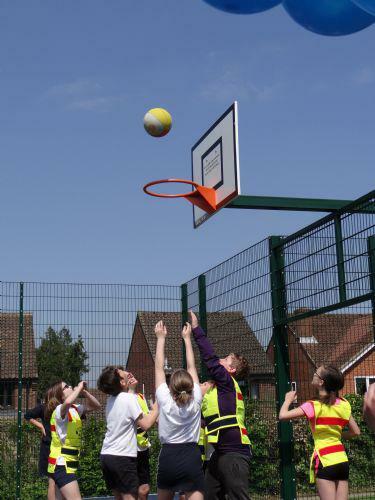 Teams were rotated during the course of play amidst shrieks of encouragement and groans of anguish when baskets were missed! The overall scores were collated to reveal the winning team, 6L with 28 goals beat 6W by a single point! 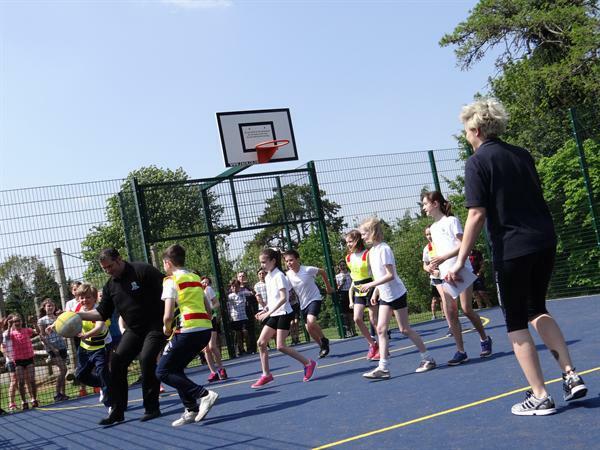 The new sports facility will enable pupils to enrich their PE curriculum and will allow them to play sports such as basketball and football.